Although it is fairly common for people in many western countries to sleep for about eight hours at a stretch at night, this is by no means the only sleep pattern. In fact, keeping up with this schedule and foregoing an afternoon nap would seem highly abnormal for such people around the world. In many cultures, particularly those with roots in tropical regions, afternoon siesta is quite common and is built into the daily routine. Afternoon nap normally coincides with a brief lag in the body’s internal alerting signal. This signal, which increases all through the day to offset the body’s increasing drive to sleep, drops slightly in mid-afternoon, giving sleep a slight edge. Napping also happens during the warmest period of the day and generally follows a large meal, which explains why afternoon drowsiness is often associated with afternoon sun and heavy lunches. Afternoon naps for most people lasts between 30 to 60 minutes. 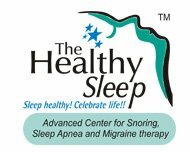 Any longer and there is a risk of falling into deep sleep and having a tough time waking? Having dissipated some of the accumulated sleep drive after a nap, most people end up feeling refreshed, able to stay alert and active in the late afternoon and night. This increased alertness normally causes people to go to bed beyond the usual time and to sleep less at night than people who do not take naps. According to sleep specialists, napping can be a good way for people who do not sleep well at night to catch up. However, naps can have an adverse effect on people with insomnia as it may make their nighttime sleep problem worse. Otherwise, they generally advise naps for people find it beneficial. Alterations between wakefulness and sleep is controlled and regulated by the brain, which also plays an important role in directing quantity and depth of sleep. However, sleep is strongly influenced by other external factors like light and caffeine. In every 24-hour period, it is common for people to be continuously awake for about 16 hours and then almost continuously asleep for approximately 8 hours. A few brain cells are responsible for keeping us awake or asleep since some cells promote wakefulness while others induce sleep. The neurons that promote wakefulness inhibit those that promote sleep, and vice versa. This interaction typically leads to either a relatively stable period of wakefulness or a relatively stable period of sleep. Several areas in the brainstem and hypothalamus promote wakefulness by sending arousal signals to the cerebral cortex, the largest region of the brain. These signals come in the form of chemicals called neurotransmitters. Activation of neurons in the arousal areas activates the cortex as a result of which we stay awake.